Mobile devices nowadays are really advanced. You can get pretty much any work done on them – as long as you use a full-fledged keyboard, touchscreens still have their limitations when it comes to convenience, accuracy and speed. Apple offers a wireless Bluetooth keyboard that you can pair with your iPhone, iPad and most of Android smartphones and tablets. However there is even a better option that enables you to use a proper desktop-grade keyboard to get your work done in a fast and efficient way. A software application called Typeeto enables you to use your Mac keyboard for typing on your mobile devices. You do not need another piece of hardware, make most of what you already have – your Mac keyboard. And if you’ve already purchased a Bluetooth keyboard, use Typeeto to pair it with all your devices. The good thing about the software is that it is really easy-to-use, there is no complicated setup process for it. 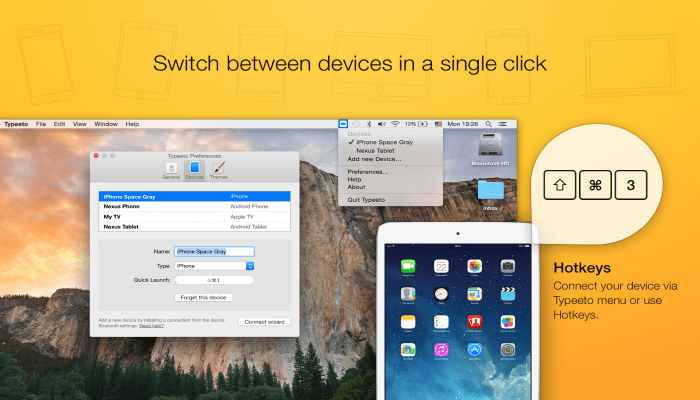 Install Typeeto on your Mac, turn Bluetooth On, pair Mac with the required devices, confirm the pairing from the devices side. From now on you can use a big full-fledged keyboard on your iPhone, iPad or any other mobile device. All you have to do is to click the Menu bar icon and select the device, you can start typing right away – the text you enter will be displayed on your device’s screen, no frustrating typos anymore. 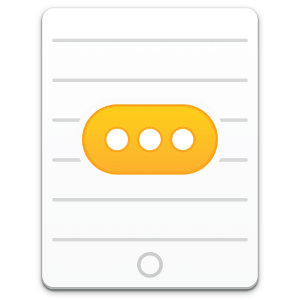 You can also cut-paste and copy-paste a text from your Mac’s text editor to the connected device. Typeeto supports keyboard shortcuts and audio effects. It automatically detects devices while being set up, and you can always add a new one or remove those you do not need at a later stage. 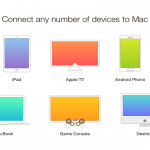 How many devices Typeeto can support at a time? As many as required, says the developer. 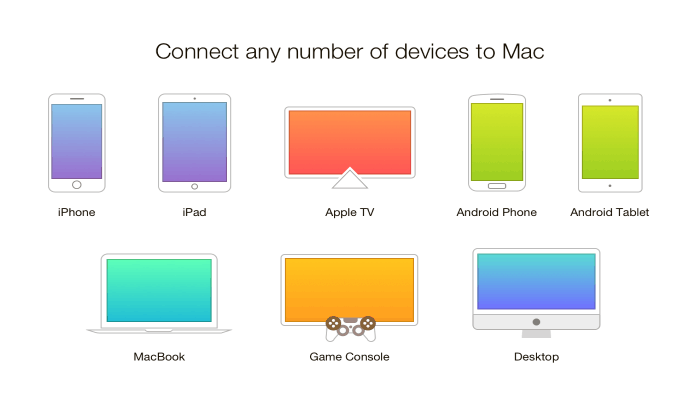 I tried connecting two iPhones, two iPads and an Apple TV – no problem, it worked on all of them. To summarize: Typeeto enables using your Mac keyboard, a full desktop-grade keyboard, for typing on any mobile device you are carrying around. And we do not need to tell you why you would want to use a proper keyboard instead of a touchscreen keyboard. Another advantage Typeeto offers is Android devices support, the convenience of a full keyboard is not limited to Apple devices. And the last, but not the least, Typeeto is really affordable.